I have a set of 5, 16" rims and tires with good tread. One spare. Will trade for guns. Thanks for looking! 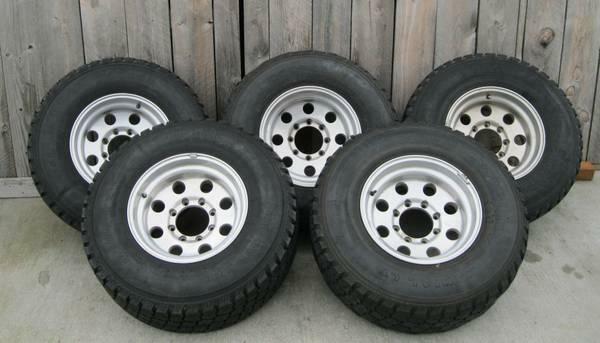 Set of 5 Lug aluminum alloy for truck 15 rims.